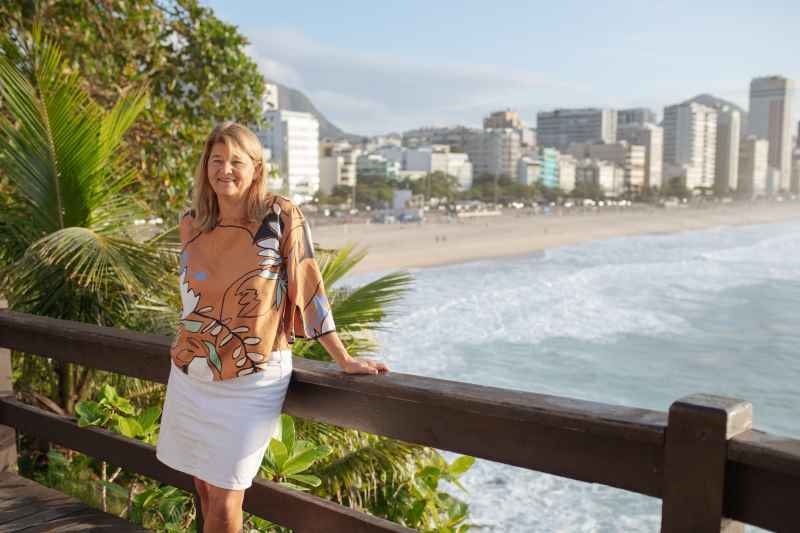 Equinor´s new country manager in Brazil, Margareth Øvrum, sees absolutely no reasons for taking it easy, and is setting out on groundbreaking enterprises. With soaring ambitions for her company, Øvrum recently announced the intention of contracting the biggest FPSO in Brazil for pre-salt operations on Carcará. When production starts in 2023 or 2024, the giant will produce 220.000 barrels of oil per day, making it the biggest in Brazilian waters ever. The company also plans to drill five, high impact wells the next three years. But Equinor has also set out on a journey to become a broad energy company turning natural resources into energy for people and progress for society. Equinor and Petrobras have jointly decided to pursue offshore wind projects in Brazil, and are currently studying possible locations. The 162 MW Apodi Solar plant in the state of Ceara is Equinor’s first step into solar energy, together with Scatec Solar. Margareth Øvrum took over as country manager of Equinor in Brazil in October last year, but has worked for Equinor since 1982 and has held central management positions in the company. Mrs. Øvrum was the company’s first female platform manager, on the Gullfaks field, and before coming to Brazil , she was the Executive Vice President for Technology, Projects, and Drilling (TPD), a position which she held from September 2011. «It was time to let someone else take over, but I made it clear to Equinor CEO Eldar Sætre that he had to find me something interesting to do. When he offered me Brazil, I accepted immediately, without even consulting my family. What is happening in the Brazilian oil and gas industry, is extremely exciting. I am 60 years old, but excited as a kid, and it is a privilege to be a part of this, to be a part of building and realizing the huge potential we have been aware of for so long. Now it is time to deliver», she says in this interview with NBCC/Nordic Light in February this year. Equinor has assets in all development phases in Brazil. First oil on Peregrino II is expected in 2020. The development concept for Carcará has been defined, and important steps have been taken to guarantee profitability. The biggest FPSO on the Brazilian shelf will start operations in 4-5 years. BMC-33, another operatorship to Equinor, depends on gas infrastructure. Margareth Øvrum is also very excited with the opportunities for the Roncador field. During the NBCC Rio Oil and Gas Networking Dinner last September, she compared the Brazilian continental shelf to North Sea 40 years ago. The cooperation with suppliers is of fundamental importance to Equinor. «We need a good dialogue with the suppliers, both here and in Norway, and I don’t think everyone back home realizes the importance of Brazil to Norwegian companies, they are not aware of the dimension and size of our activities here», she says. Equinor is the first foreign operator to develop a pre-salt field from scratch. High productivity discoveries have been made in a well drilled on Carcará, and Ms. Øvrum describes these as «very high rates in comparison to what is average in the North Sea». Brazil is one of Equinor´s three core areas main oil provinces, but will however never fully replace the North Sea. Equinor also enjoys a very good relationship with Petrobras, and the top executive describes the relationship and dialogue with Brazilian authorities as open and positive. «The signals are positive, and important adjustments have been made. It is important for us as an IOC to align our operations with existing rules and regulations. We work very well with ANP, with the Ministry of Mines and Energy and with Ibama. On Carcará, we had a very positive experience with Ibama», Ms. Øvrum says. In her former position, she had had the overall responsibility for the projects, including Carcará and Peregrino II. She did however have little experience with Brazil – outside the office. A heavy summer rain storm certainly took her by surprise, and the lack of electricity the following days caused concern. The food and the very likable Brazilian colleagues and friends are however making up for any «home based» challenge she has had to face so far. The top executive has three grown sons and two grandchildren, who she hopes will come visit frequently. The youngest son accompanies his mom to Brazil this semester. In August, her husband will also follow. «I don´t like being alone and was worried that I would feel lonely, but people here are very including, and Brazilian socialize across generations in a different way than we are used to from Norway. I don´t have much time to spend on the beach, but I am certainly very satisfied. The Brazilian way of life is something Norwegians can learn from. We have a lot to learn from each other», she says.